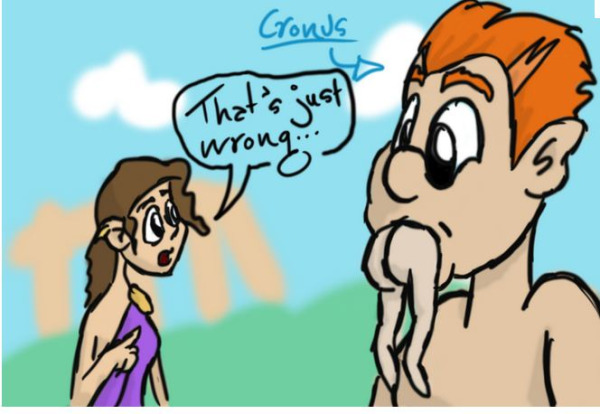 The Greek titan of time, “Kronos” (or Cronus) in addition to spawning the name of the company we all know and love, also had many children. Most of these he ate. Or at least swallowed until, Zeus, one of the survivors grew up and forced Kronos to disgorge his siblings. Such abuse was apparently common during the so called Golden Age of Greek mythology. Another famous Greek, Plato, is known for his own perspective on the abuse of things… namely poets and or poetry. Apparently much nerdier folks than I have spilled a lot of ink debating whether Plato disliked poetry or the poets themselves. As far as I have read he never ate any of them. Plato did, however, coin a very interesting (dare I say poetic) admonition: “Banish the abuse, not the thing”.